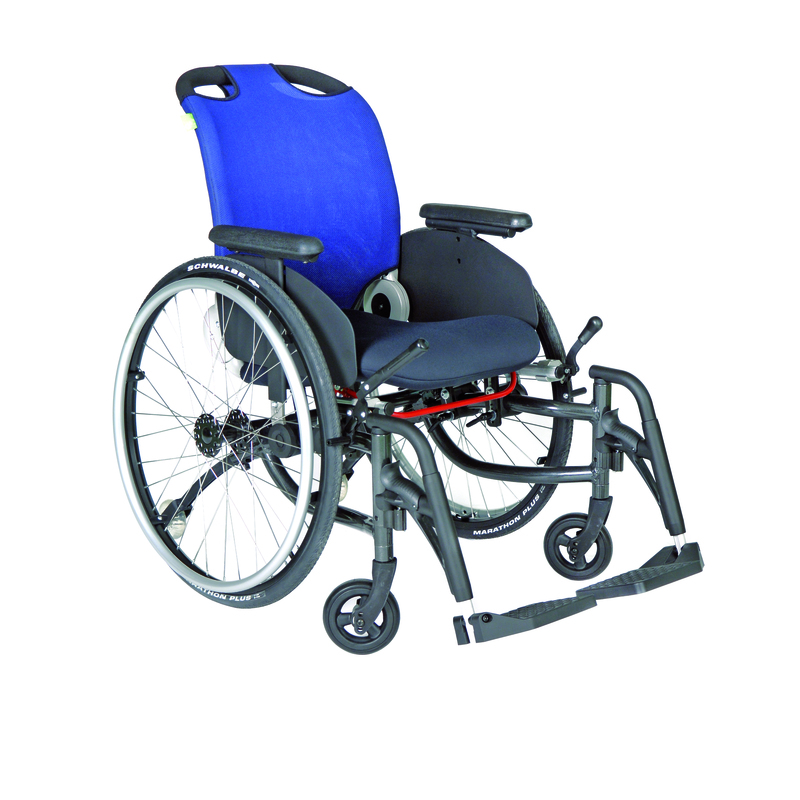 The TripHopper is a contemporary wheelchair with a modern curved aluminium frame. The low seat height, adjustable between 38 and 52 cm, enables this wheelchair to be propelled by foot. The ergonomic RCA-Seat-System ensures high sitting comfort. The TripHopper wheelchair can be adjusted to the needs and requirements of the user. Suitable for hemiplegia patients and people with restricted mobility.